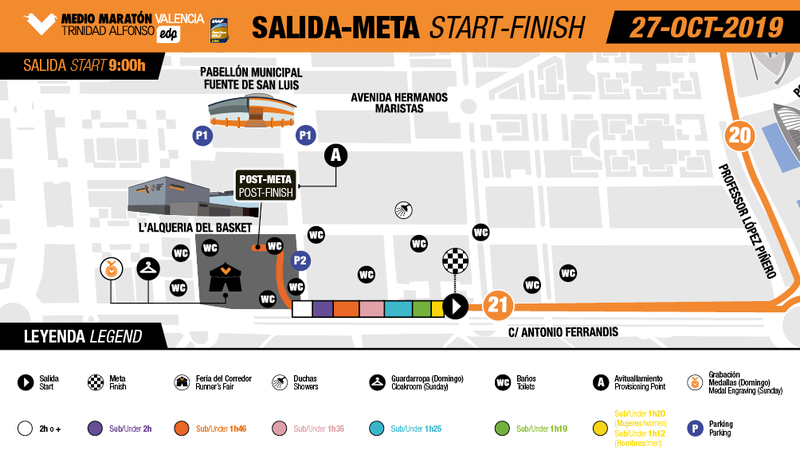 The Valencia Half Marathon Trinidad Alfonso EDP Runners’ Fair is the meeting point for all the participants in the race. There you will collect your race bib and your runner’s bag. You will also be able to visit stands and talk to businesses and organizations that provide services and products related to your great passion, running. 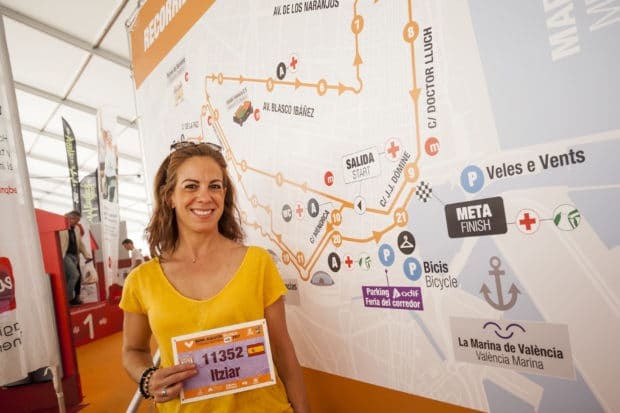 The runners’ fair will be full of exhibitors that come to Valencia to show off their wares to those attending the event. In the tent located next to the start and finish lines, in the street Ángel Villena next to L’Alqueria del Basket. See approximate location here.